A group of senators, including California’s Dianne Feinstein and Kamala Harris, introduced a bill Thursday to address health, safety and quality-of-life concerns at private military housing around the county, including Marine Corps Base Camp Pendleton. Feinstein and Harris joined Virginia senators Mark Warner and Tim Kaine to introduce the bill. The senators began drafting the legislation after a November 2018 Reuters report detailing substandard and even dangerous living conditions at Lincoln Military Housing’s privately owned complexes, including mold spores, water leaks and infestations of rodents and insects. The report also detailed multiple instances of Lincoln’s slow and lack of a response to tenants complaining about living conditions. Lincoln Military Housing runs most of Camp Pendleton’s 7,900 housing units. 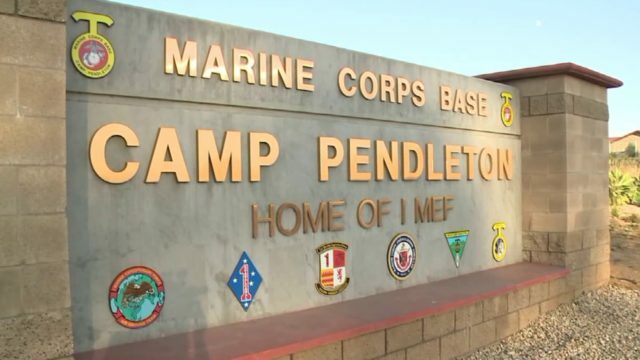 In addition to Lincoln Military Housing’s large presence in the military housing market, military members and their families living on a military base like Camp Pendleton lack the same tenant rights as civilians living on private land. Reuters found that tenant rights are generally set by contracts between the military and private housing companies or landlords. Because of this, military base residents can’t press local governments to enforce health codes or withhold rent payments until repairs are made. The senators’ bill would enable base commanders to withhold housing payments until officials with a housing company inspect a safety or health hazard. Housing companies would also be required to pay to relocate tenants if a hazard requires them to leave. In addition to consequences for private housing companies, the U.S. Department of Defense would be required to launch an online work order system, allowing tenants the ability to view the progress of their work order requests.